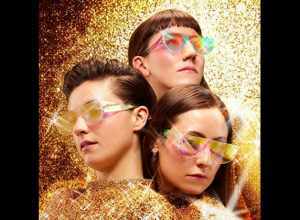 Stealing Sheep's eleven track album is a shimmering piece of bright and bold pop that translates a day-glo and glitter imagination into a sparkling electro hybrid. 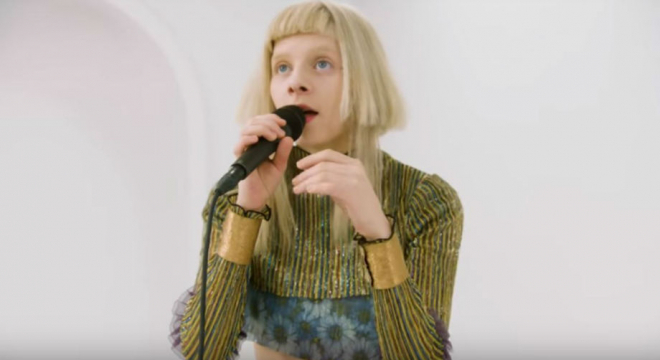 Aurora performs a live studio rendition of her ethereal new song 'The Seed', taking from her forthcoming third album 'A Different Kind of Human (Part II)'. 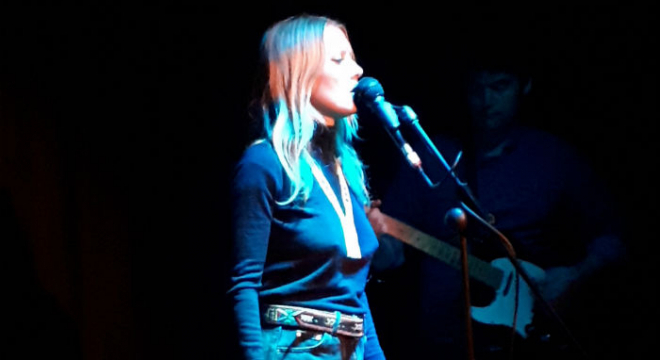 In one of the tiniest theatres, on one of the smallest stages, and playing to a diminutive audience, the petite Amy Odell played a tremendous gig with an intense passion. 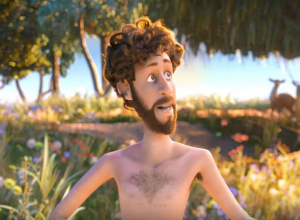 There's nothing not to love about Jewish rapper Lil Dicky's environmentally-conscious new song 'Earth', released for Earth Day. 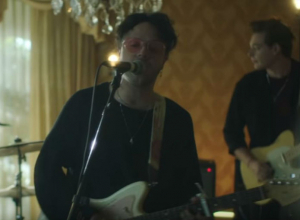 LA indie-pop band Lovelytheband unveil the video for their latest single 'Maybe, I'm Afraid', taken from their debut studio album 'Finding It Hard To Smile'. 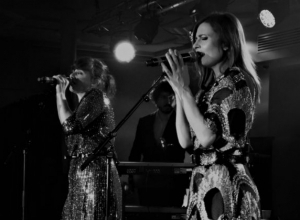 Nouvelle Vague are master craftsmen and women breathing new life into old songs by way of inspired arrangements. 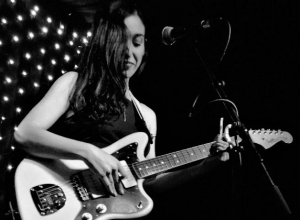 Before taking her tour to the far reaches of Europe and beyond, Marissa Nadler took up a brief residence in the upstairs room of The Prince Albert. Halsey has teamed up with K-pop titans BTS for a new song entitled 'Boy With Luv'. 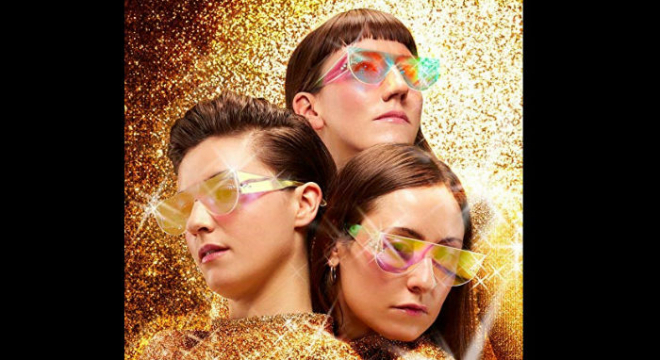 It features on the band's newly released sixth EP 'Map of the Soul: Persona'. With their second album 'The Darker the Weather // The Better the Man' having just been released, Texas pop duo Missio unveil a video for their new single 'I See You'. With their new album 'Social Cues' set to arrive on April 19 through RCA Records, Cage the Elephant unveil their latest track from it entitled 'Goodbye'. Foster The People have finally unveiled the official video for their latest single 'Style', which follows previous release 'Worst Nites'. In their third collaboration, French Montana joins Jennifer Lopez on her first single of the year, 'Medicine'. Los Angeles trio Mini Mansions have teamed up with Alison Mosshart for a new single entitled 'Hey Lover'. Following her work with Victoria Monet on her single '7 Rings', Ariana re-teams with the songwriter for a collaborative new track entitled 'Monopoly'. Westlife unleash their second single since reuniting, 'Better Man'. The song has been co-written by Ed Sheeran, alongside Steve Mac. 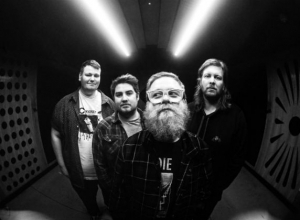 It's been four years since their sixth album 'Strangers to Ourselves', and now Modest Mouse are back with a new song entitled 'Poison the Well'. James Bay teams up with Julia Michaels for a flirty video for their new single 'Peer Pressure'; his first release since his last album 'Electric Light'. After making a splash with her debut album 'When We All Fall Asleep, Where Do We Go? ', Billie Eilish's fifth single 'Bad Guy' gets a suitably weird video. With her third studio album set to be released later this year, Emeli Sande unveils the video for lead single 'Sparrow'. Returning to the Kent coast exactly nine months to the day after her sold out show in Ramsgate, Hersh rocked up in Folkestone as part of her 'Live And Loud' tour.